As artists and art educators, we seek to critique the world around us, share pieces of our culture and celebrate diversity. Through our creative works, we have the power to speak freely without fear of being stereotyped, judged, dismissed or silenced. 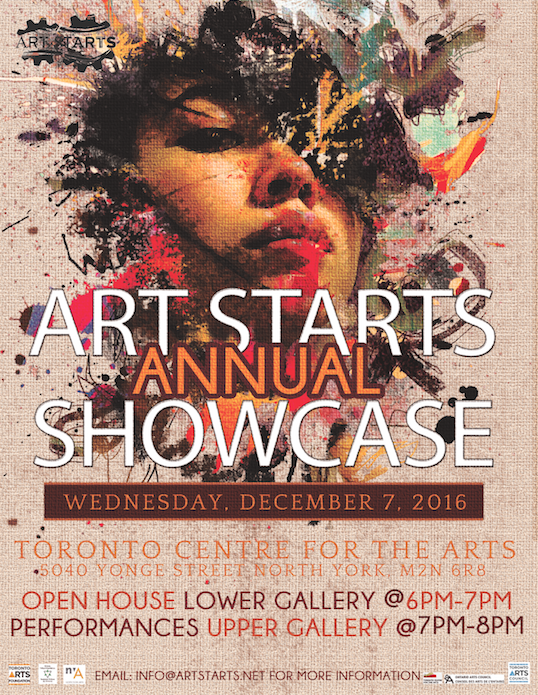 Join us for our annual showcase as we share a night of creative expression; connecting Torontonians to a fun, interactive and engaging multi-disciplinary arts experience.